Finally, a fan sign you can get on board with! Just watch out for that horn. 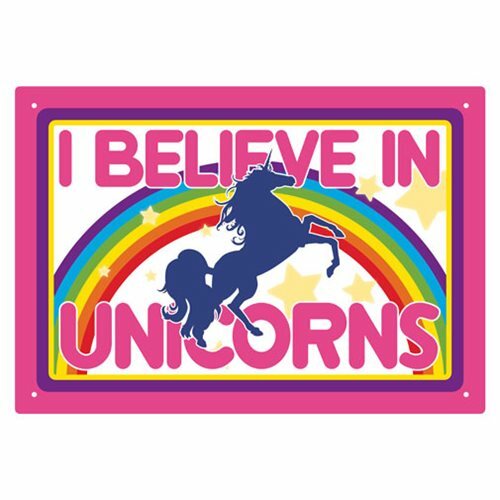 The I Believe in Unicorns Tin Sign measures approximately 8-inches x 11 1/2-inches. Ages 13 and up.